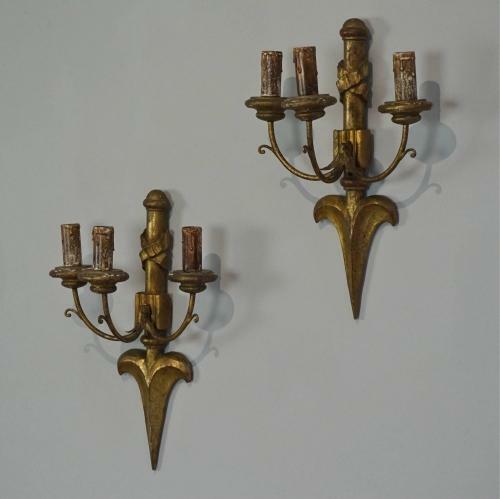 A beautiful pair of hand carved and gilded wall lights with beautiful time-worn patina and three lamp arms. Italian circa 1930. Wired.